Trust will get you killed – and trust will keep you alive. First things first – I tend to always start my reviews with something about myself. That’s fine because hey, this is my review. So everyone who knows my reading pattern knows that I’m a sucker for good dystopian books! I’ve read some that were very bad and after this I’m always a little bit cautious when it comes to this genre. A month ago I found a beautiful book through the instagram account of tildareads and I couldn’t wait to get my hands on it. Article Three promised me so much when I only read the text on the back and let me tell you – I fell in love. Hard. The author Anna Jakobsson Lund originally published Article Three in swedish and is an indie-publisher, which made me love the whole thing even more. Article Three is set in the future when the world crashed down. I’m serious – humanity made some major mistakes and has to pay for it now. The refreshing thing about this book is that it is set in Europe – I’m not quite sure where exactly but I thin Great Britain and Scandinavia might be a good place to start? – and not in the USA like most of the books of this genre. The System runs everything and only the rebels seem to fight against it. Throughout the book, Levi – who’s neither a rebel nor a trustworthy citizen – meets Ava and Leymah – two rebels – and is forced to work with them to rescue his beloved sister from the hands of the System. Now you might think that with two girls and one boy there might be a chance for a love triangle. Since I don’t like constellations like these, I was pretty surprised to find out that there isn’t one. There might be a lot of sympathy between the three of them, but I found by no means a love triangle. So YEAY for that! What I did found was some diversity I really loved. On the one hand there’s Leymah – a beautiful smart girl of color – and later on one of Levi’s friends who’s gay. I’m no person that’s screaming after diversity, but I enjoy some of it nonetheless. The writing in Article Three is simply beautiful. Every character – especially Ava – has its own unique way of talking and the author is brilliant in describing so. While reading I could even feel the differences of their origins and it gave me hearteyes. It’s written in the third person from Ava’s and Levi’s POV and it was great to dive into two different characters while not knowing all of their secrets. Like the world you get to know the characters step by step, learning about their deepest demons time after time. There have been surprises I didn’t expect and that caught me off guard. I just can’t wait to get my hands on the second book and get to know the characters and the world run by the System more and more. So if you haven’t noticed it by now – I loved Article Three and YOU NEED TO READ IT RIGHT NOW. 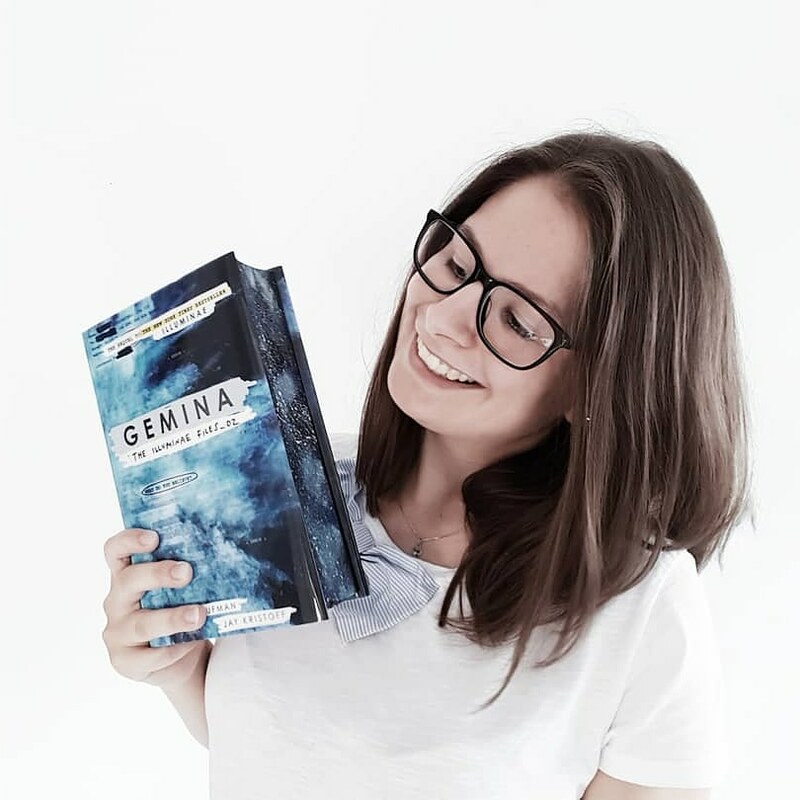 It’s a unique dystopian story and also is the author incredible sweet and I just want to hug and thank her for writing this book and deciding to translate it into english!